"How you do money is how you do everything." So if I'm focused on cleaning out and letting go of clutter and stuff that no longer serves me, my budget and money will follow the same pattern. How are my budget and my money serving my short and long term goals? In my budget I'm examining where my money is flowing. Why are we spending nearly $200 per month on dining out? What the...?! Why are we consistently spending x amount more on utilities, clothing, entertainment (etc.) than we did a year ago? Have the prices changed that much? Do we honestly need that much more? Or has lifestyle creep infiltrated our psyche and budgets? For some things we just need more, like running more loads of laundry, more dishwasher loads, or teenagers needing more showers (like 2x a day -- it’s real people). And that's the sign of a growing family. For others, it just is honestly lifestyle creep. Lifestyle creep is where things that are Wants gradually move into becoming Needs as your spending habits respond to marketing messaging. If your income is growing consistently than lifestyle creep is absorbed by your growing abundance. No apology necessary. In my family it's a little bit of lifestyle creep and a little bit of growing family. Our income has been growing thanks to my second side business so the increase has been absorbed easily without compromising our 1 and 2 year money goals. Even with all that, I still like to spring clean my budget just to double check. I don't micromanage my money...my system makes that possible. (LOVE systems!) But I do double-check that we haven't created a new "normal" in some of those Want categories. So as you're cleaning out the dust bunnies under your bed and the cobwebs in your corners, check in with your budget with a fresh set of eyes and decide if your spending is still in line with your goals. Now before you freak out about those percentages, remember that this is our TARGET. This is a work in progress, so take heart. Here's my simple 3 steps for cleaning up budget numbers that have gotten a little dusty over the winter, or any season for that matter. In fact, it is a good idea to go through these 3 steps several times a year. Step 1. 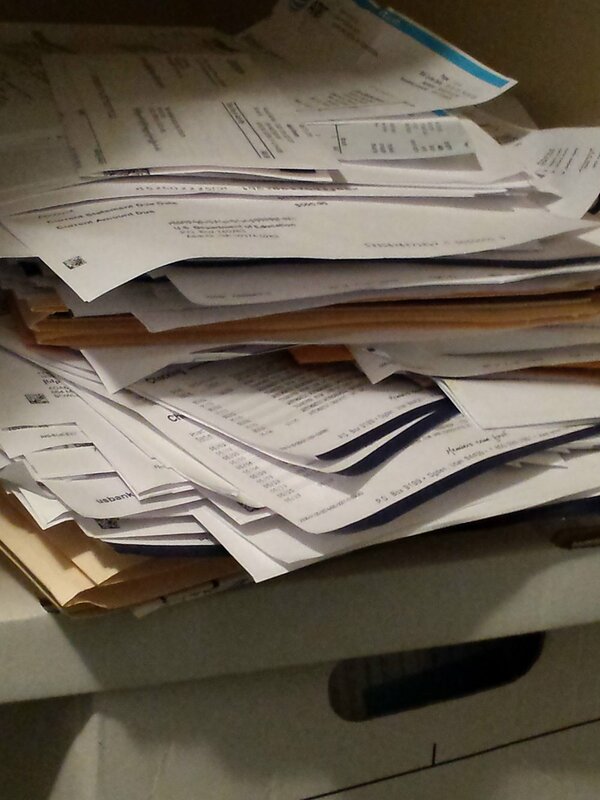 Pull out last month's budget (or pile) and compare it with the one from a year ago (if available). Are the numbers fairly close to each other? Accounting for inflation and income growth, of course. Step 2. Review your percentages for last month and for the same month a year ago and see if certain budget category totals need to be adjusted. Overspending or family growth look different, so be sure you're accounting for those subtle differences. You can tell if it’s family growth by the TYPES of spending that increases: Needs-based expenses like utility bills or basic food items. Overspending is usually found in the Wants-based expenses like dining or entertainment. Step 3. If you’ve overspent, acknowledge it as an adult who accepts responsibility (because you are and you do). Criticism, self-punishment, and guilt trips don’t help. In fact they actually continue the cycle, so just don’t go there please! Lifestyle creep happens to all of us because we live in a 24/7 marketing world. Instead, focus on asking yourself questions like, “Why was that purchase important to me? What was I hoping to add to my life?” All spending can be linked to an emotional response (like that $200 on dining out). Next, I want you to put your hand on your heart, close your eyes, and give yourself permission to be safe with having extra money just laying around waiting in your life, instead of feeling the need to spend. I suggest you post a note on your mirror and next to your bed as a reminder to do this permission exercise multiple times each day until you really start to feel it from your head to your toes. As you get more comfortable with this exercise and thus feel safer with your money, you’ll find that you emotionally overspend less. You just don’t need it anymore. The spring cleaning process is a forgiveness process. It really is. As you treat yourself with the same gentle concern that you would treat those sweet, sweet children of yours, you will create a softer, more abundant feel to the way you think and behave around your money. Imagine having that bright, fresh, clean feeling about your home, your closets, and your budget?! It’s totally easy to get there. If you want some FREE help with decluttering your budget or getting your money and mindset on track then schedule a Working Session with yours truly! It's a free 30 minute session where we get super organized about what you want, how you and your money are going to get there, and your simple next steps to get there faster and more easily. There is no obligation. 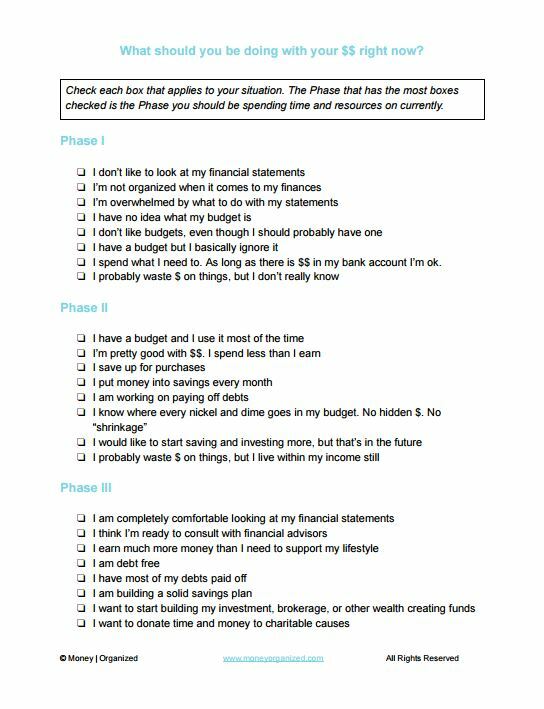 Oh, and I create a filled-in-with-your-info easy budget template as well as your current Money Flow pattern. So easy, so fun, and you don't have to have a numbers brain to feel competent with budgets! It’s my way of getting to know you and your needs so I can better serve you and the Money Organized community!